It’s one of the harder skills in football. Young Cristiano Ronaldo was great at it: beating a man from a standing start. When you’re moving at speed, it’s all about balance and the physics of blowing past someone. But when you’re one on one with a defender who knows where you want to go, it’s all about your skill with the ball, and sending him the wrong way. 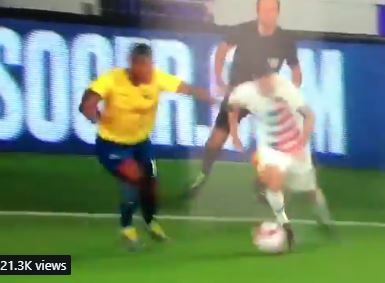 Christian Pulisic gave us a perfect example in the United States’ game against Ecuador two days ago, showing Man U’s Antonio Valencia it might be time to retire already.